A bit of a late posting today, but I’m finally here with the usual weekly outlook on what our weather’s going to throw at us. It’s certainly not going to disappoint this week. 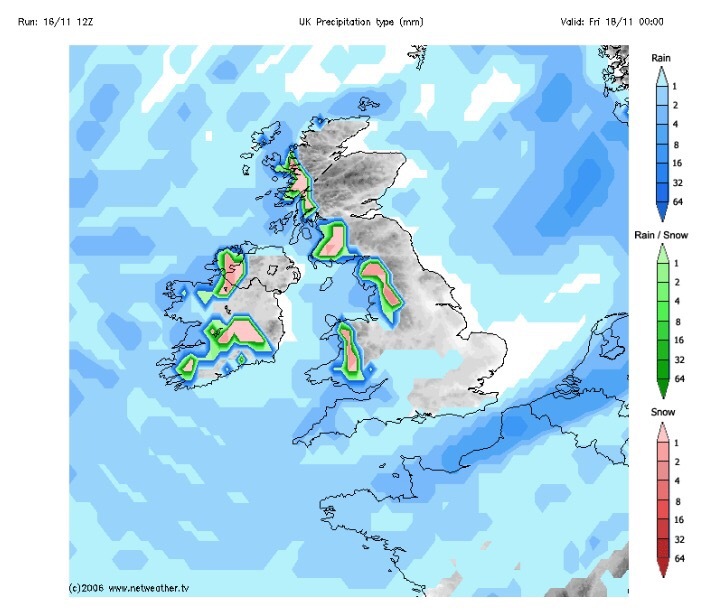 Possibilities of some localised sleet and snow overnight Thursday and into Friday morning. Above 200M most at risk. 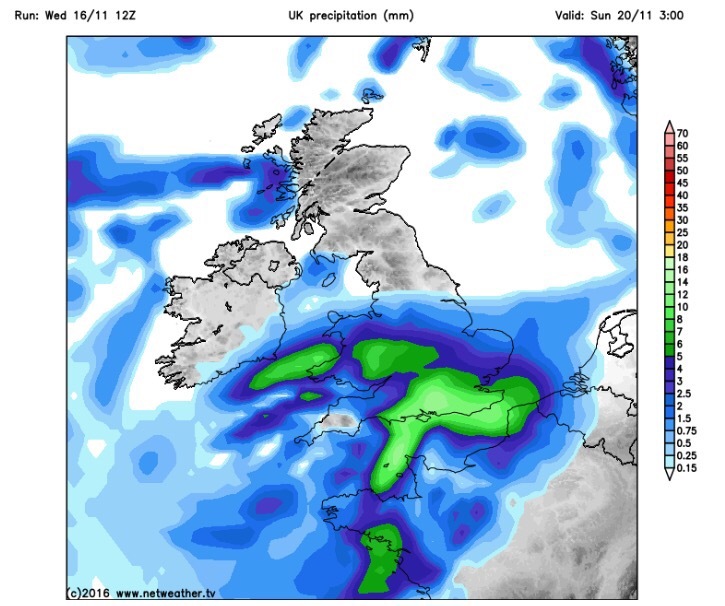 Heavy rain arrives on Sunday, preceded by Pennine-snow? Looking ahead and it’s set to stay cold with unsettled conditions close by. Keep up to date with your local weather by following @ChadWeather on Twitter. Forecast issued Wednesday 16th November at 18:30. This entry was posted in Weather Forecast and tagged Hail, Lancashire, Manchester., Oldham, Rain, Rochdale, Snow., Tameside, Weather, Weather Forecast, Wind by Oldham Weather. Bookmark the permalink.